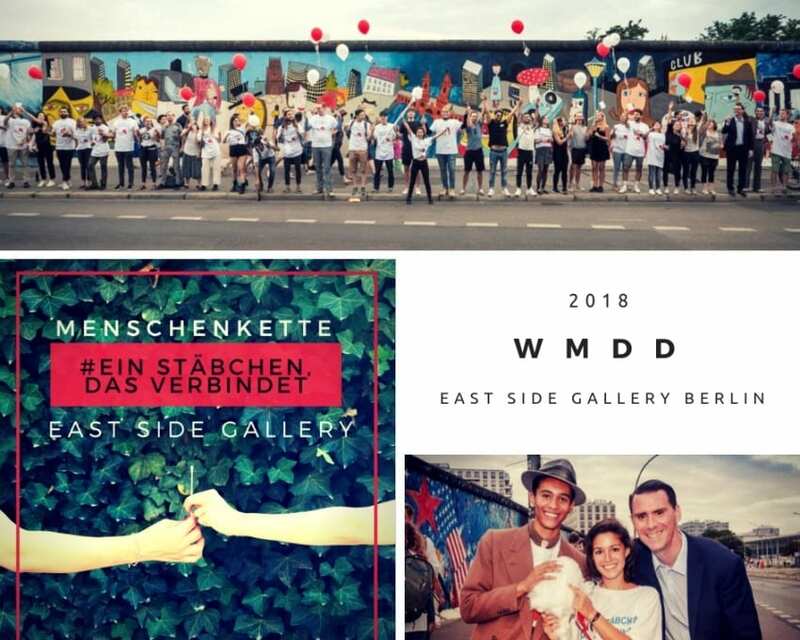 On August 15th at Berlins hotspot downtown – the East Side Gallery – we initiated a public human chain to say “thank you” to all registered donors and to draw attention to blood cancer in general. Each participant passed a cotton stick, which is normally used for registration as a donor, to their neighbor. Under the motto “one stick that connects” we intended to represent the connection between one stick and two lives. It was a wonderful symbol to all blood cancer patients worldwide that they are not alone with their fight. Thanks a lot to all passengers who stopped by! Thank you donors worldwide and keep getting involved! Please enjoy our impressions down below.